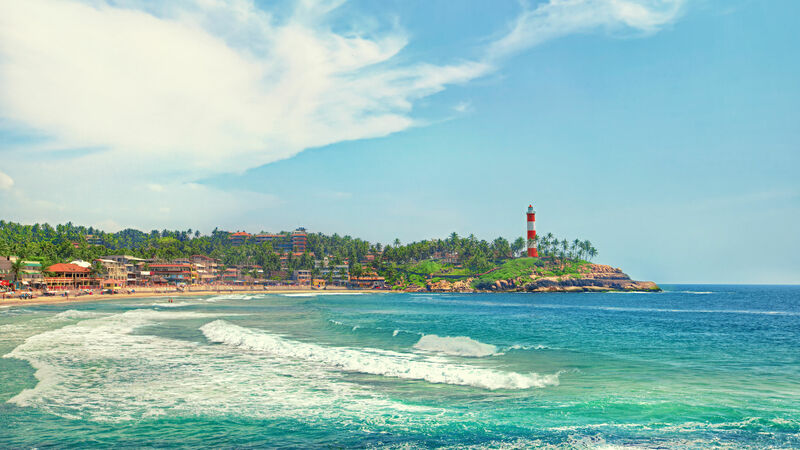 For beach lovers, Kovalam is one of the best places to visit.Located about 16 km from the capital city of Thiruvananthapuram,this beach town is full of tourists from different parts of the world during tourist season. 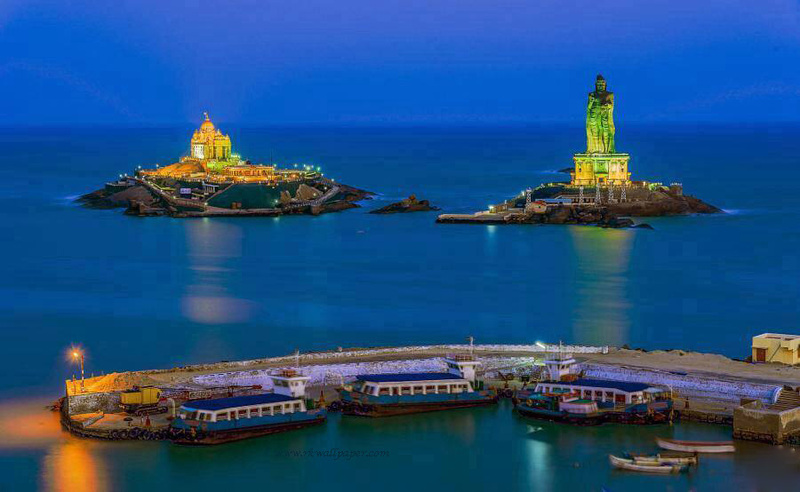 Many tourists who come to Kovalam visit Kanyakumari. It is also the only place in India where we can get an impressive view of sunrise and sunset from the same shore. 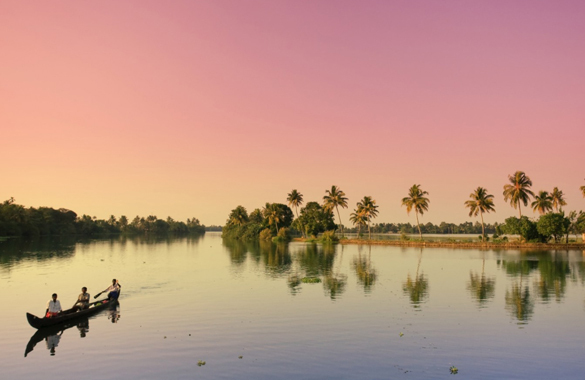 Alappuzha (or Alleppey) is a city on the Laccadive Sea in the southern Indian state of Kerala. 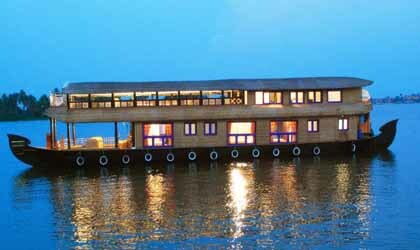 It's best known for houseboat cruises along the rustic Kerala backwaters. On arrival at trivandrum receiving by our executive / driver and proceed to Kovalam . Kovalam is almost 20 km away from trivandrum and may take 45 minutes for comfort drive .On arrival at Kovalam , check in to beach resort and refresh.Spend your evening time in Hawa beach and samudra beach.Overnight in the beach resort . After breakfast proceed to Trivandrum city for a day trip , and can cover the following places. Sree Padmanabha Swami Temple, Kuthiramalika Palace museum, The Napier museum, Sree Chithra art gallery, science and technology museum , veli boat club , shanghumugham beach etc..Overnight stay in the resort. After breakfast Proceed to Alappey . Which is famous for house boats in backwaters ( vembanadu lake ).Alappey is almost 250 km away from Kanyakumary and will take 6 hour drive.On arrival check in to house boat (normal check in time is 12 noon) , and will make cruise till 5.30 in the evening . After that it will anchor in a safe place where you can go for village walk, and nearby temple visit etc.. Welcome drinks, lunch, evening tea snacks and dinner will be served from houseboat. Houseboats will be exclusively for you and there will be 3 staffs in boat to assist you (senior driver, Driver and Cook).In deluxe a/c houseboats, ac will be operated from 9 pm to 6 am only. After breakfast from houseboat houseboat at 9 am and proceed to Trivandrum..Which 155 km away from Alleppey and may take 4 hour drive.Drop you at Trivandrum airport / railway station for your return journey.Tour ends with a smile and sweet memories. 2. Birds holiday will confirm the hotels only after getting the initial payment from guest. 3. If offered hotels are not available at that time, Birds Holiday will book and give almost similar category hotels with your permission. Pay 3990 now to book this package. Taxes Additional.